“Am I creating wealth, or am I engaging in rent-seeking behavior?” If this question would be asked during a course of business ethics at George Mason University (GMU), few would be surprised. “Rent-seeking” is a term used often in “Public Choice” economics, and GMU has been the home of an academic center with that focus. The question, however, also appears in one of the most relevant publications released by the Vatican. That indeed is a surprise. Today, most of the topics dealing with economics and free enterprise are handled by the Pontifical Council for Justice and Peace. Its work is conducted in consultation with experts from different social disciplines. It organizes seminars and releases different documents. Publications from the Catholic Church have different degrees of authority, and—in this new era—statements range from encyclicals to Twitter postings. The Vatican is not and should not be a center for the promotion of concrete free-market or interventionist solutions. The Church does not have “technical solutions to offer or models to present” — that is the role of lay persons. For those of us who favor a “free economy,” it helps to have outstanding economists, such as Nobel Laureate Gary Becker, as a member of the Pontifical Academy of Science. But economists of different persuasion are also part of the debate and influencing publications. 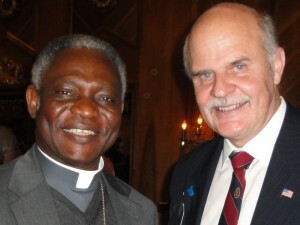 Cardinal Turkson, from Ghana, is the current head of the Council. It has Flaminia Giovanelli, in one of its leadership positions. She is one of the highest lay persons in the Vatican. Another one is Harvard University Professor Mary Ann Glendon, the first female president of the Pontifical Council of Social Science. 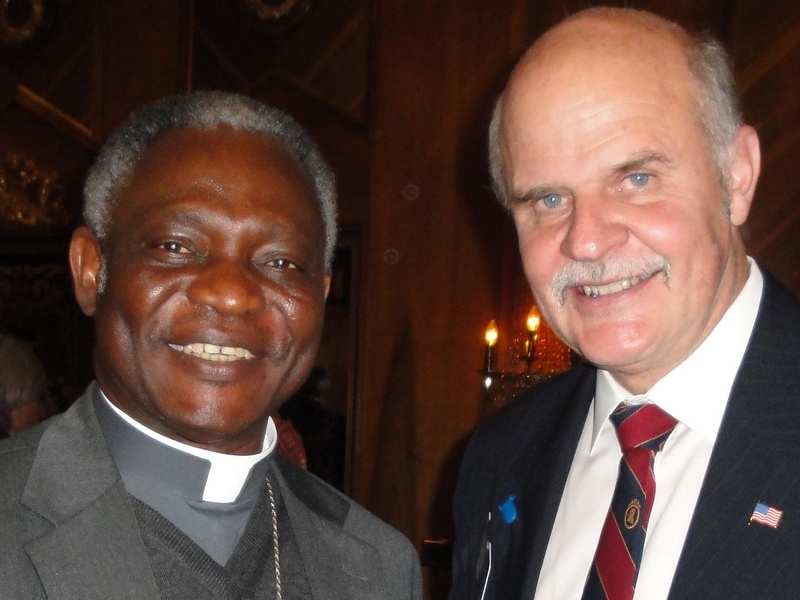 Cardinal Turkson is familiar with the think-tank world, such as the efforts of the Institute of Economic Affairs in Ghana. Prof. Glendon knows the U.S. scene well. With the likelihood that Pope Francis will use his many pastoral charismas beyond the walls of the Vatican, I expect that each Pontifical Council, many working as think tanks and educational centers, will rise in profile. Pope Francis will take care of the faith. The economic views that come from Vatican documents will depend more and more on a fruitful dialogue between those of us in the laity, both Catholic and non-Catholics like Gary Becker, and the leadership team of each Council.